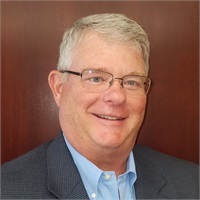 Joseph Carroll | Associated Pension Services, Inc.
Joe joined the Associated Pension Services, Inc. team in 2008 after being in the financial field for over 30 years. After graduating from DePaul University in 1985 he was a bond trader at the Chicago Board of Trade for 20 years. His interest in serving individuals and businesses led him to pursue a different path which brought him to APS. Joe received his Certified Financial Planning (CFP®) designation in 2008 and also holds his Accredited Investment Fiduciary designation. Joe holds the Series 66 and 7 licenses from FINRA. Joe and his wife live in Barrington Illinois and have three grown children. Joe enjoys golf and tennis, but most of all Joe enjoys “hanging out” with his family.